NOTE: We now ship within the USA only. Sorry – we no longer ship International orders. Please see details below. USA S&H for Skin Care, Books and DVD’s. Sorry, as of May 16, 2016 we no longer ship our skin and body care items to Canada or International Destinations. Book orders and DVD’s are shipped via 1st Class USPS. CA. Sales Tax: Effective April 26, 2017, CA. sales tax in the amount of 9.50% will be charged on all online orders shipped within California. If Java Script is not activated on your computer, we will calculate and charge CA. sales tax to credit card used on order. USPS Priority Shipping & Handling rate for SKIN CARE products are as follows: NOTE: Red Light Therapy units are shipped FREE via UPS. See more Red Light Therapy info further down. Priority Mail S+H: Currently our S+H fee is only $7.95 for any size skin care product order. Delivery Inquiries: Please allow 3 to 10 business days for orders to arrive. Please EMAIL Louisa@hollywoodbeautysecrets.com if your order has not arrived by the 14th business day and we will track your package. Be sure to email your FULL name as used on the order, date ordered, country or state you live in, and provide a day and evening phone number where we can reach you. We will respond via email or phone Mondays to Fridays. Back-ordered Items: We will contact you if any item is back-ordered that may delay delivery. RETURNS: All skin care sales are final, no refunds. You may exchange an unused, unopened item within 7 days. Email us for exchange instructions or call our toll free number.You must pay S&H on all exchanges. Order Cancellation Policy: Sorry, we cannot accept cancellations if your order was already shipped. Orders which are refused at delivery will be charged a $15.00 cancellation fee and cost of S+H will not be refunded. Sorry, no exceptions. All orders are automatically uploaded to our secure merchant processor which incurs fees. If you cancel your order BEFORE it has been shipped, you will be assessed a $5.00 cancellation processing fee before credit is issued. Our shopping cart system is state-of-the-art and CPI compliant. And we never sell or store your information on-line. However, if you suspect a fraudulent charge to your credit card please CALL us FIRST at our toll-free number to resolve this issue at 1-877-568-4727 or notify us via email at Louisa@HollywoodBeautySecrets.com BEFORE attempting a chargeback with your credit card company (which can take up to three months). By contacting us first, we can immediately investigate and quickly resolve your concerns. Shipping Address Corrections: For skin care orders only: Should you notice a shipping address mistake on your order form, please email us immediately with the correction. If your order has already shipped, when the item comes back to our facility, we will re-ship it using the correct address. However, you will be billed the cost of postage to re-ship your package. Sorry, no exception. 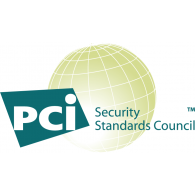 Fraudulent Charges / Stolen Credit Card Purchases: We follow PCI compliance regulations. We log IP strings on all orders – any orders coming back as a chargeback due to fraudulent activities will be diligently pursued through your local jurisdiction for prosecution to the fullest extent of the law. Sorry, we no longer ship the Red light systems outside of the USA. *Only 48 USA states qualify for **FREE S&H via Federal Express Ground Delivery. States of Hawaii and Alaska must pay additional S&H fees of $40 each per system. Tracking Notice and Delivery: For red light orders only – we use UPS or Federal Express Ground. UPS or Fed Ex will email your tracking so you can follow delivery of your package which ships factory-direct. Sometimes these emails go into your spam or junk box so please check there as well. 🙂 NOTE: If you notice a mistake on your shipping address – contact UPS or Federal Express right away to give them the correction – using your tracking number. Please allow 3-6 business days for delivery of your red light system to arrive via UPS or Federal Express ground. If you reside in an apartment or condo complex and do not receive your red light system within 7 days from date of receiving a tracking number, check with your manager’s office. If not there, please email us at Louisa@hollywoodbeautysecrets.com. NOTE: FED Ex does not ship to P.O. Boxes, Military bases or HI or AK therefore please choose the option “Military Base” in Method of Shipment when ordering. We accept PayPal and M/C, VISA, AMEX and Discover credit cards for all Red Light orders. We are CPI compliant. We do NOT share your information. 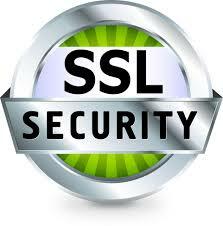 All customer information is strictly confidential. California Residents must pay 9.50% CA. sales tax. All other states (48 states) pay no sales tax. Holiday Deliveries NOTE: Deliveries may be delayed due to higher mail volume so we cannot guarantee speedy delivery at that time. Please order early. Complete and mail in your warranty card when you get your system. Our red light systems come with a 1-year parts and labor warranty from the date of purchase. For repairs, contact the manufacturer’s number listed on the back page of the user manual or email support@revivelighttherapy.com with full name as used on original order, country/state and date of purchase, and a representative will contact you weekdays Monday to Friday. You may also phone 1-303-646-0543 ext. 152. Be sure to mention HollywoodBeautySecrets,com so they can quickly find your order. ALL returns must be requested via EMAIL only to ensure your RMA Return request date is documented. Sorry we do not process returns via phone. NOTE: You may not return an LED without an RMA # written on the box as your package will be refused. Thirty days begins on the date of delivery of your red light system. Sorry no exceptions after 30 days. ALL returned systems will be charged a 10% restocking fee and return shipping is your responsibility. Return shipping is non-refundable. NOTE: All delivery or return fees are non-refundable even for repairs or exchanges. Please see the detailed RETURN PROCESS INSTRUCTIONS HERE ->: To begin a return process, please provide the full name noted on your original order, a day and evening phone number, the country and state you reside in, include approx. date of purchase and kindly email this information to Louisa@hollywoodbeautysecrets.com Once date of delivery is verified, customer service will email your RMA# and return instructions. Be sure to note the RMA# on the outside of your box. All orders are automatically uploaded to our secure merchant processor. Sorry, we cannot accept cancellations if your order has already processed and shipped. If you cancel an already shipped order, or if it is refused, you will be charged a 10% restocking fee and a $25.00 cancellation fee before credit is issued. Sorry, no exceptions. If you suspect a fraudulent charge to your credit card please CALL us FIRST at our toll-free number to resolve this issue at 1-877-568-4727 or via email Louisa@hollywoodbeautysecrets.com Please include a daytime and evening phone number, and state or international country you live in BEFORE attempting a chargeback with your credit card company which can take up to three months. By contacting us first, we can immediately investigate and quickly resolve your concerns. Stolen Credit Card Purchases: We follow PCI compliance regulations. We do not sell your information. We log IP strings on all orders – any orders coming back as a chargeback due to fraudulent activities will be diligently pursued through your local jurisdiction for prosecution to the fullest extent of the law. Owner and heirs of HollywoodBeautySecrets.com, HollywoodBeautySecrets.net, Skincarebylouisa.com, louisagraves.com, beautylifechanger.com are not responsible for any liability in connection with the use, or improper use of the Red Light Therapy system, skin care items, books, ebooks or DVD’s. Use these items at your own risk. Please read our detailed disclaimer. Sorry we do not ship vibration plates to Alaska, Hawaii, Puerto Rico, Canada or international destinations. We accept only M/C and VISA credit cards for vibration plate orders. We do not accept Paypal payments for vibration plates. Credit Card Processing for vibration plates: The distributor name will reflect Pacifica West Wholesale LLC on your credit card. Please make a note of this. Portable $299 Model ships FREE** in 48 USA states ONLY via UPS ground or DHL. Please allow 4-9 days for delivery. NOTE: We do not ship to Alaska, Hawaii, Puerto Rico, Canada or International destinations. Tracking: Vibration Plate Orders are processed and shipped distributor-direct from Northern California. You will be emailed tracking from UPS or DHL. Please read Health Constraints, Buyer Terms and warranty information on the Body Vibration Plate page – before placing your order. By placing your order, you acknowledge having read the health constraints and agree to the Buyer Terms. Use a vibration plate at your own risk. Sorry NO returns on this item. All sales final. Sorry, we cannot accept cancellations if your order was already shipped. Sorry, NO returns on vibration plates. All sales final. If you suspect a fraudulent charge to your credit card please CALL us FIRST at our toll-free number to resolve this issue at 1-877-568-4727 FREE or notify us via email and please include your daytime and evening phone number, and state you live in. Warranty/Repairs: You will receive a one year warranty on all parts for your portable ($299) model. Louisa@hollywoodbeautysecrets.com BEFORE attempting a chargeback with your credit card company which can take up to three months. By contacting us first, we can immediately investigate and quickly resolve your concerns.